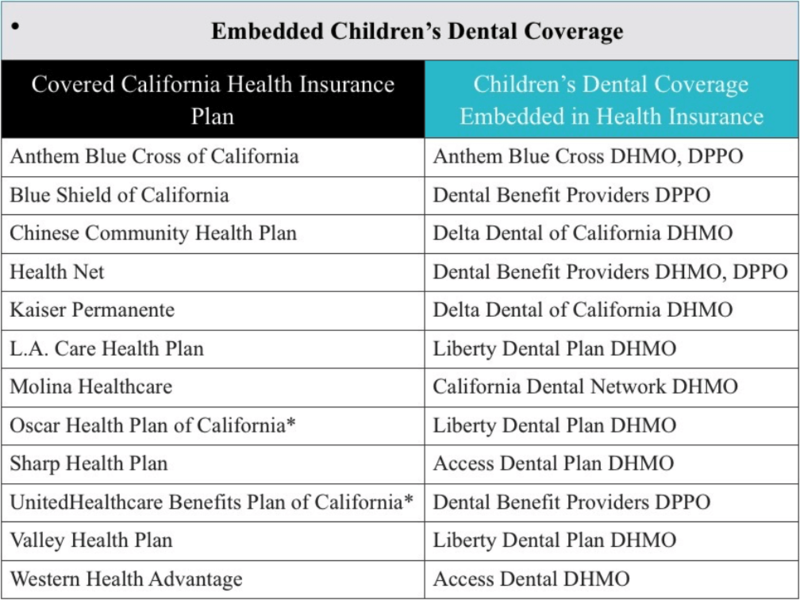 Did you know your children’s dental insurance is already included in your Covered CA health plan? Yes, the Covered California pediatric dental plan is part of any family health plan you enroll in regardless of the metal level. So, if you include your kids in your health plan, they’ll also enjoy pediatric dental coverage benefits. As a part of the essential health benefits of the ACA, dental services for your kids are also subject to the same rules as your medical deductible. They also count towards your maximum out-of-pocket costs for your health plan. Preventive and diagnostic services are free and not subject to the stated medical deductible in your health plan. The cost of crowns, root canals and fillings are shared by the dental plan and the consumer. No out-of-pocket maximum is assigned to children’s dental costs. All your out-of-pocket costs for your children’s dental care may count towards the maximum out-of-pocket limit for your health plan. The maximum out-of-pocket for a silver health plan in 2017 was $10,800. If you choose a DHMO (Dental Health Maintenance Organization Plan), the costs of dental services offered by providers outside the plan’s network won’t be covered. Costs for covered dental services are different for most plans, so you need to do your research before visiting a dentist. Depending on the health plan you choose, your child will enjoy dental benefits offered by the companies below. Some of the companies also offer separate standalone family dental plans. Both embedded and standalone plans must be part of state exchange benefits programs. Covered California allows you to enjoy the benefits of child dental coverage through any of these programs. If you want to know more about pediatric dental insurance or whether you should opt for a standalone or embedded pediatric dental plan, we can help you make an informed choice. Give us a call now to get a detailed quote for each type of plan. We’ll also help you obtain maximum benefits from the dental plan included in the health plan you already have.